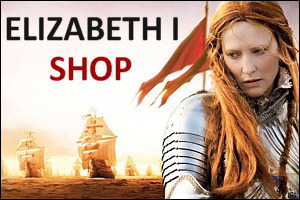 What did Queen Elizabeth I really look like? The portraits give us some idea of her physical appearance, but from them alone it is not easy to visualise what she really looked like. 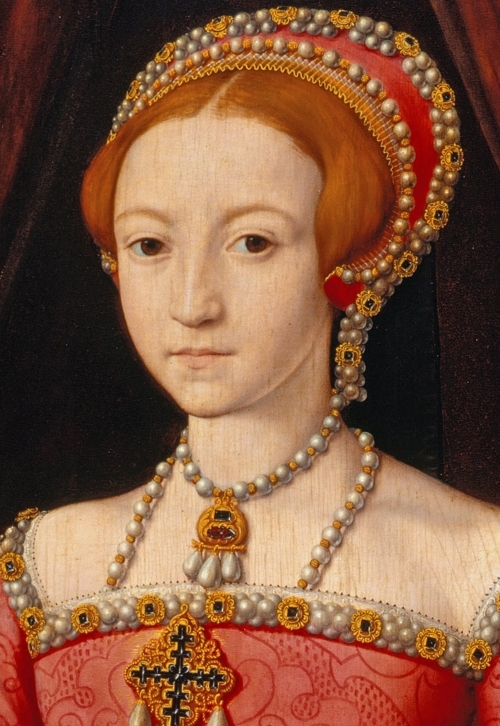 While the pale faced woman with reddish-gold hair is common to all of them, it seems that every painter has captured a slightly different image of her. Contemporary accounts of her appearance do not help to clarify the matter either as they are even more varied than the surviving visual images. However, with some careful shifting through the evidence, it is possible to gauge a visual impression of the great Queen. It is easy to see, for example, how the young Lady Elizabeth grew into the handsome woman in the Sieve Portrait, and then into the triumphant Queen in the Ditchley painting, and therefore we can put faith in the visual record left to us by these painters. We can be almost completely certain that her hair was a golden red, her eyes dark brown, her nose ridged or hooked in the middle, her lips rather thin, and her cheek bones pronounced. Her hair was also probably naturally curly or at least wavy. 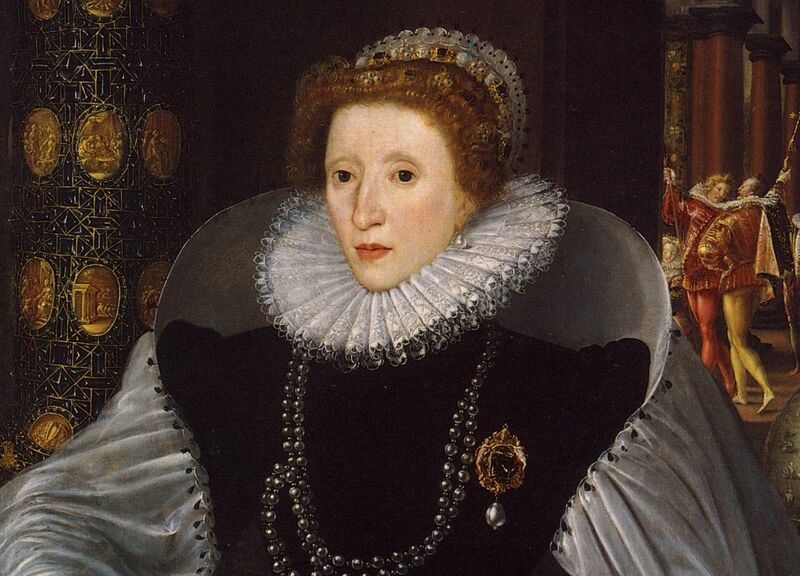 She may well have had freckles on her pale skin, but like all Elizabethan ladies she would have taken care to avoid getting the sun on her face, and the make up she wore for most of her monarchical life would have protected her delicate skin from a suntan. 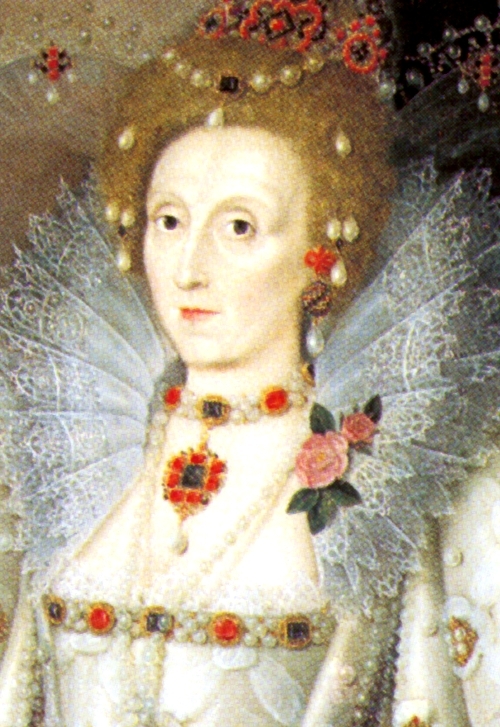 White skin was fashionable in Tudor times as it was what distinguished the rich from the poor. If a person had white skin, it showed that he or she did not have to work for a living. Elizabeth also had exceptionally long fingers, possibly made even more striking by long finger nails. The gloves on display at Hatfield House show quite clearly that Elizabeth was rightly proud of what she perhaps considered her most handsome feature. Her height again is different to determine absolutely, but modern estimates put it between 5ft 3in and 5ft 5in. Much has been written about the Queen's vanity, but in all likelihood, the extent of it has been exaggerated. 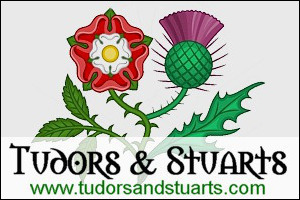 The Tudor period was an extravagant period, and vanity was perhaps a prime ingredient. Court life was flamboyant and people dressed to impress. 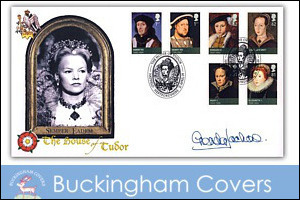 As monarch, it was Elizabeth's duty to dress better than everyone else.